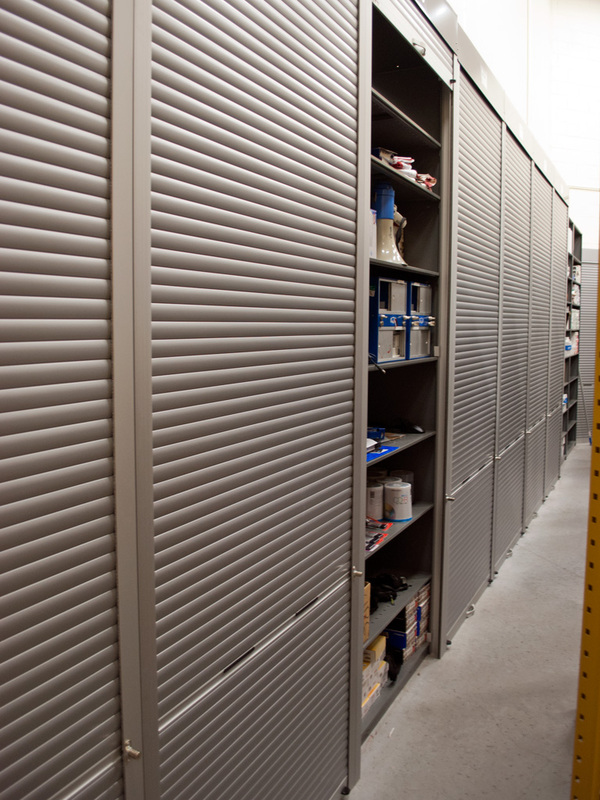 Our rolling doors are designed to fit a variety of applications, including high-density mobile shelving, static shelving, modular casework, work stations, counters, and doorways. Made of double-walled aluminum slats, these lightweight aluminum doors roll up and out of sight, yet when closed and locked, provide a solid wall to prevent intrusion. Effortless operation with balanced torsion spring or motor-controlled operation will secure your sensitive information and other valuables in a unique and aesthetic manner. Wondering which heavy-duty mobile racking solution is right for you? Contact us for a complimentary space assessment.